This weekend marked a significant moment for Jonathan Mlimi, South Africa’s rising motocross star. 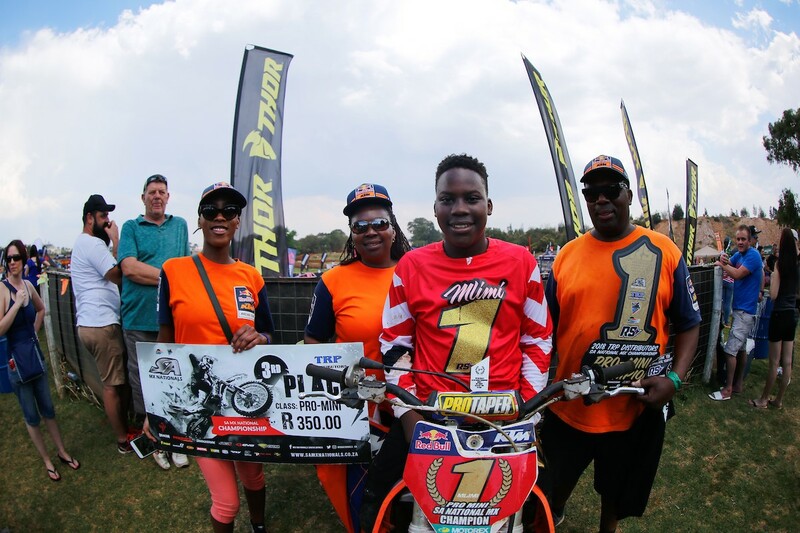 After a stand-out year of racing in his still young motocross career, he stormed to his second national title and was crowned Pro Mini Champion at Johannesburg’s Dirt Bronco track. As the son of motocross legend Eury Mlimi, the youngster is running fast on a path his father fought hard to pioneer in the 80’s. Eury turned the sport on its head when he became South Africa’s first black professional motocross rider. “Firstly it was hard to get anything done as a black person in South Africa during the Apartheid era. So my dad had one goal and that was to change his story and his life in general. He wanted to move away from the homelands and pursue his racing career, and he was welcomed with open arms in the motocross community,” explained Jonathan. While he was still too young to witness his father race, Jonathan describes growing up watching his older brother Joshua compete, who is equally as passionate about the sport and rides on the same Red Bull KTM team as him. “My dad started taking me with to watch my brother race - it was always so much fun because he would let me dress up in my brother’s kit and ride around on my push bike,” he said. Winning the Pro Mini Championship has only pushed Jonathan deeper into his motocross dream of becoming “one of the best riders in the world”, and he has already set his sights on repeating the victory in the High School Class next year.